Information is a tricky thing. It is necessary, of course, to make good decisions and advance progress on projects, but too much of it can be overwhelming and actually hinders organizational development. That’s why the KaiNexus solution has been designed to deliver just the right information, to the right people, at the right time. Everyone stays informed without being buried under a pile of unnecessary emails. We’d like to share a bit about how it works. KaiNexus users receive updates about the progress toward resolving opportunities for improvement in three main ways. Digest Email - Each might, KaiNexus creates a customized email for every user that consolidates updates about what happened during the day. The update contains task assignments, new comments, project assignments, and approaching due dates. By combining all the activity into one daily email, KaiNexus makes it easy for everyone to stay up to speed without excessive email clutter. 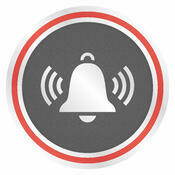 Alert Emails - There are a few things that will trigger an immediate, individual email alert. For example, an email is sent when a team member is assigned a new opportunity for improvement. Individuals also have the option to send emails to each other through the system when they need to ask questions, provide feedback or otherwise update a colleague. Flags - Flags are feature in the KaiNexus system that are used to communicate important updates. Some flags are used to inform people that something has been updated or changed. Others are an indication that action is needed. These flags stay visible until the task is resolved. Users can also manually set flags on opportunities for improvement that are already complete. This serves as a reminder to check the impact of their improvements. KaiNexus notifications, flags and alerts have additional advantages for particular key stakeholders. Improvement Champions - Many organizations that are committed to continuous improvement designate a team of individuals who are responsible for spearheading the effort and ensuring forward momentum. Without visibility into improvement activities across the entire organization, this can be a difficult task. That’s why active notifications from theKaiNexus solution are particularly valuable for those tasked with this important role. Your improvement leaders can customize their notifications to include all newly opened opportunities for improvement, those that have been neglected, or even those with specific impacts. This makes it easy to identify areas where progress is stuck and to recognize individuals who are actively engaged in improvement. Finance Departments - Understanding the ROI of your organization’s improvement efforts is essential to keeping the executive team involved and invested in the initiative. Of course, not all opportunities for improvement have a financial impact, but many do result in cost savings or the generation of additional revenue . KaiNexus makes it easy for CFOs and others in finance roles to identify the opportunities for improvement that have a financial impact. They are able to audit or validate each impact report to make sure that the effect on the bottom line is well understood. Executive Leadership - In order to truly achieve a culture of improvement, the executive team must be actively engaged in your organization’s efforts. Rather than overwhelm them with a mountain of emails, KaiNexus filters out extraneous details and focuses executive attention on the opportunities for improvement that are critical to business operations. A monthly summary of all improvement work and its impact can also be provided, via email, so that leadership has an easy to understand, yet complete view into the progress of improvement for the entire company. KaiNexus notifications, flags and alerts are designed to keep improvement work flowing smoothly, identify roadblocks, and support employee recognition. We’ve achieved the right balance between enough information and overkill. When considering technology to support your improvement efforts, don’t overlook this important aspect of any solution you evaluate.